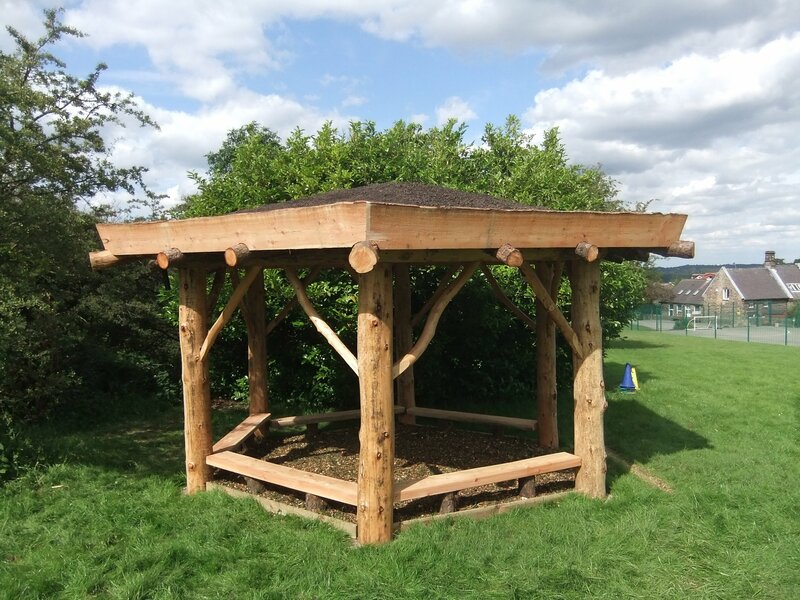 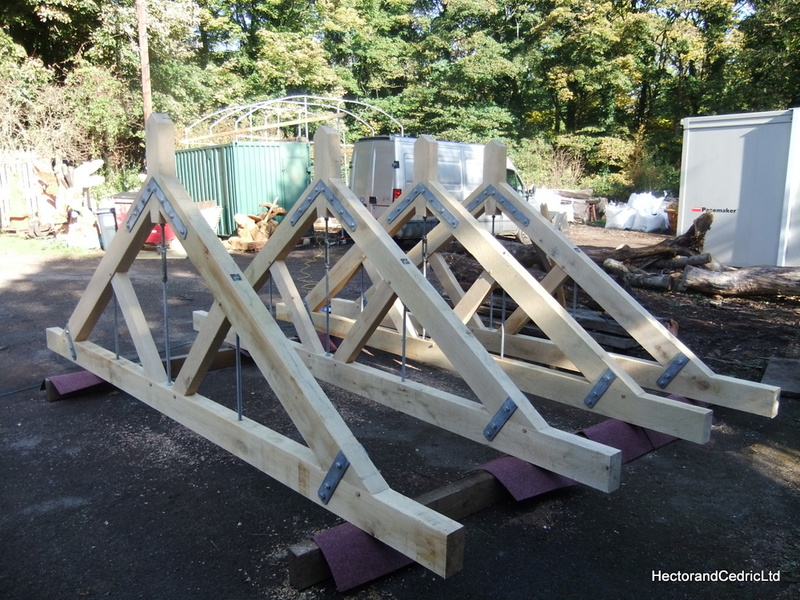 Industrial style roof trusses made from Green Oak and locally produced Ironmongery. 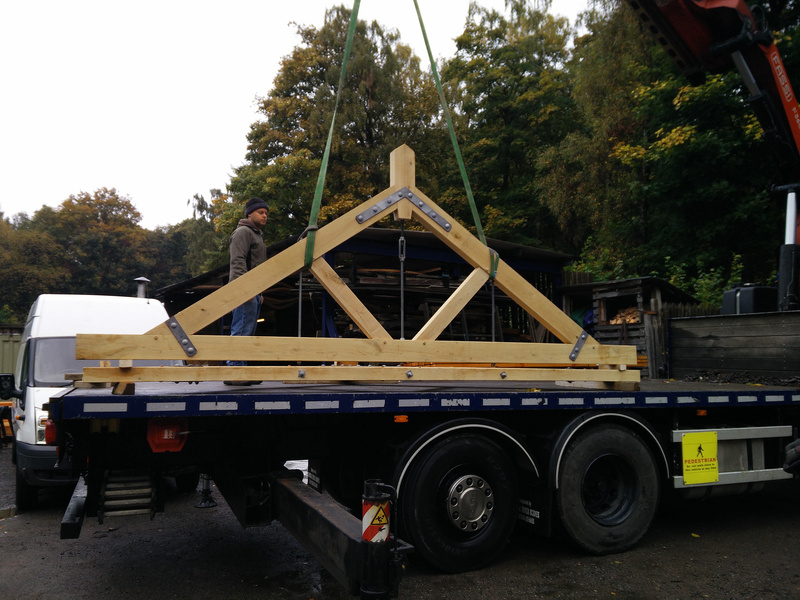 We are often commissioned to supply roof trusses of different types for various architects and builders. 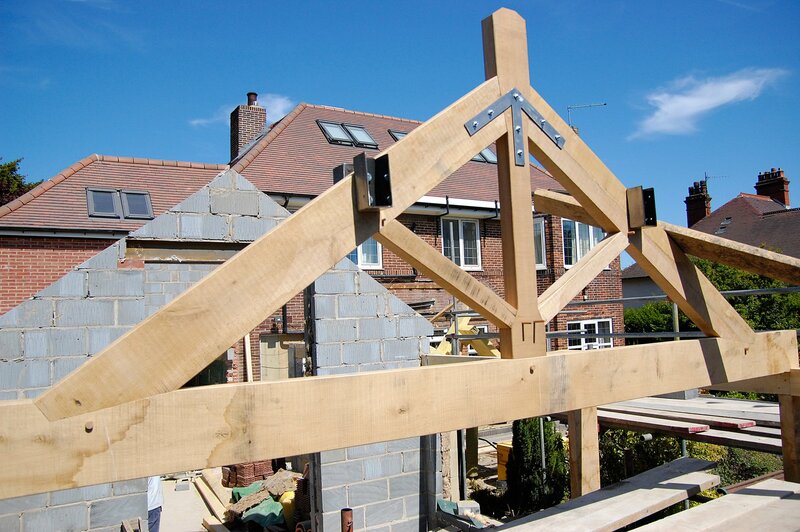 They add a great feature to a new build or renovation project. 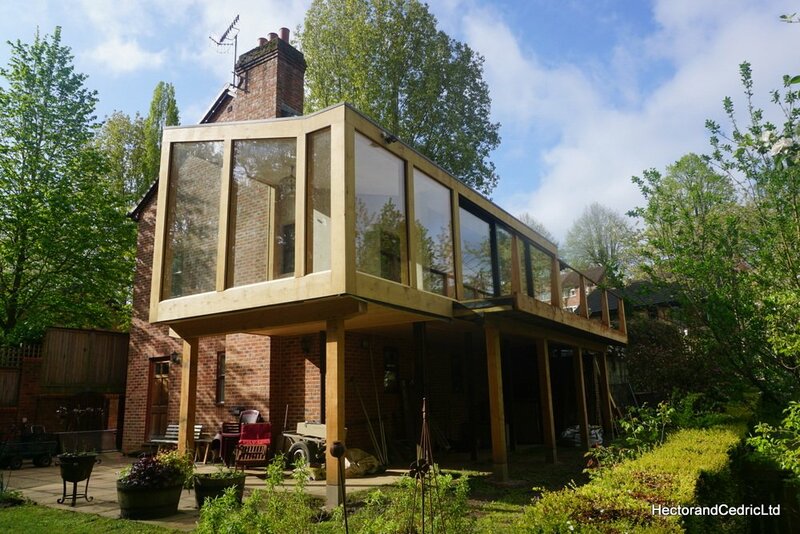 Using traditional methods and techniques often working in Oak or Douglas Fir, we can create some stunning architectural finishing pieces for our clients projects. 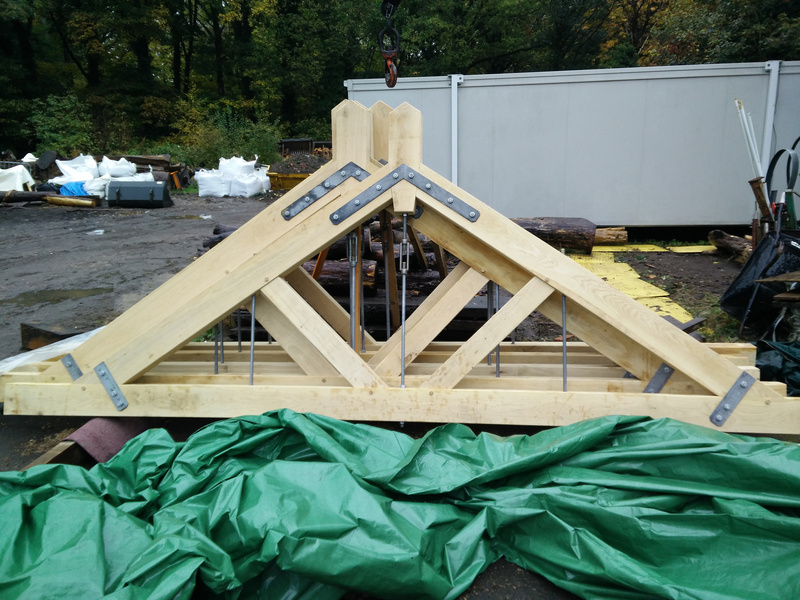 Trusses such as these can be prefabricated and then transported, assembled or craned into place. 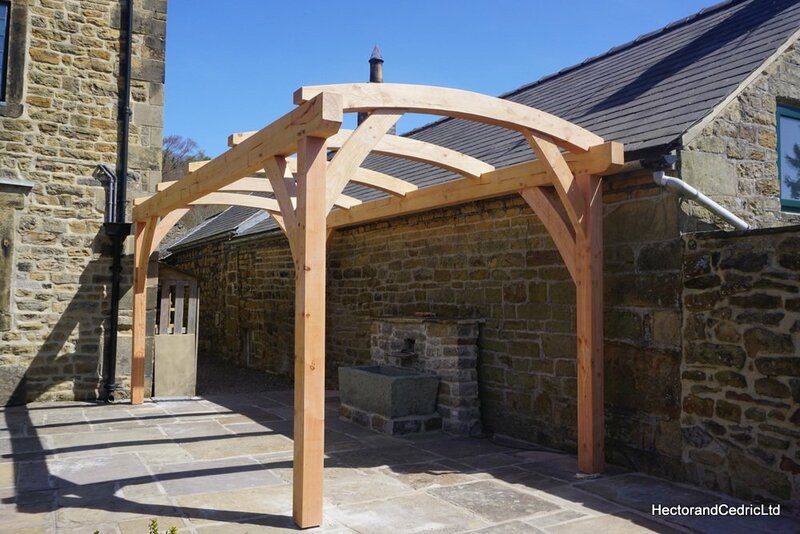 Please get in touch for pricing.